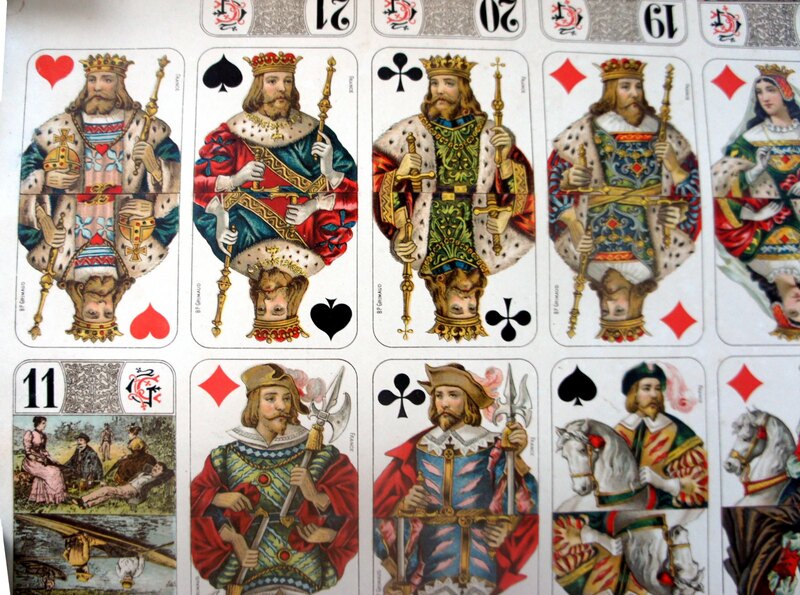 Whilst most early Tarock packs had mythological or rural scenes on the Trump cards, gradually any series of pictures became permissible on the Trumps. 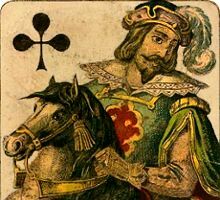 Fashion soon proved stronger than tradition and cardmakers competed with one another to produce the most attractive or unusual series of Trump cards. The illustrated, French-suited Bourgeois Tarot originated with C. L. Wüst of Frankfurt in c.1860. It was the last of the standard tarots to be used in Germany and has scenes of middle class activity on the Trumps. This pack inspired many makers including those in France and Switzerland to imitate the pattern, including the court cards, with varying degrees of artistic merit and with variations in the scenes of bourgeois life on the trumps. 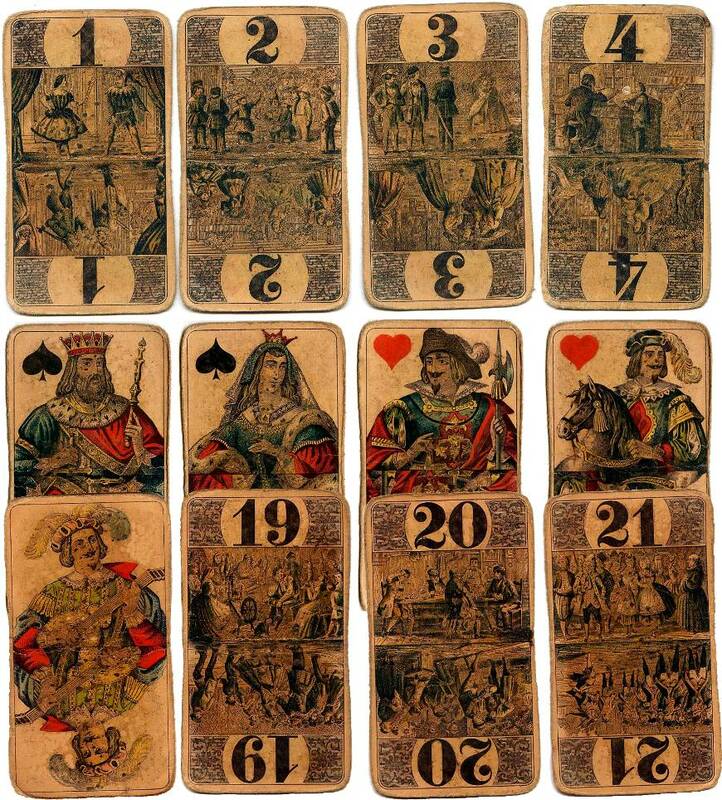 This pattern is more popular in France for playing games than the Tarot de Marseille. Above: cards from well-used example of Bourgeois Tarot made by Vereinigte Altenburger und Stralsunder Spielkarten-Fabriken. Image courtesy Harold Langen.